A repositioning is planned at 5 Garret Mountain Plaza in Woodland Park, N.J., a 101,880 s/f property that is part of a three-building, 30-acre campus owned by affiliates of Mountain Development Corp. (MDC). 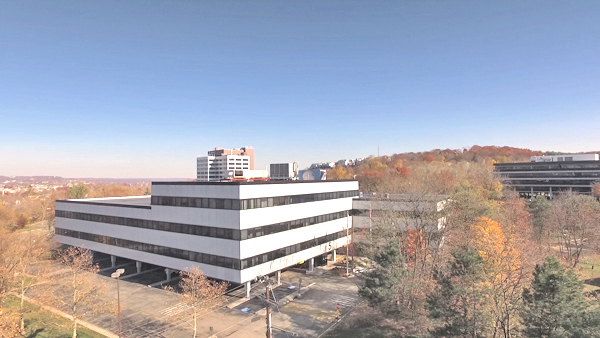 The free-standing Class A building is slated to undergo a complete renovation, offering a blank canvas for companies seeking technologically-advanced office space, first-class amenities, and maximum exposure and visibility, according to David Simson, vice-chairman and chief operating officer of Newmark Knight Frank’s (NKF) New Jersey office, exclusive leasing agent for 5 Garret Mountain Plaza. Simson is heading the leasing effort, along with NGKF’s Blake Goodman, Frank Recine and Colleen Maguire. “Today’s workforce is younger than ever before, and companies often are challenged to find buildings that offer millennial employees a collaborative, productive work environment backed by a full complement of dynamic lifestyle amenities and conveniences,” said Simson. NGKF is seeking a sole tenant or a lead tenant of not less than 50,000 s/f, with building signage a key amenity. 5 Garret Mountain Plaza had previously been 100 percent leased to Cytec Industries. This is the first time the building has been available since it was built in the early 1980s. Renovations will include a café, fitness and conference center and a rooftop deck with views of the Ramapo Mountains.